Bridging Nations Foundation – Promoting Shared Prosperity Through Technical Innovations and Global Leadership. The mission of the Bridging Nations Foundation is to promote awareness of E2E bridges and their importance in developing shared global prosperity. These employer-integrated educational platforms help bring job opportunities to all global communities. The Foundation, along with its partners, endeavors to utilize technology and modern teaching methods to develop workers with relevant career skills. This educated global workforce will play a significant role in bridging income inequality, ultimately leading to shared prosperity. 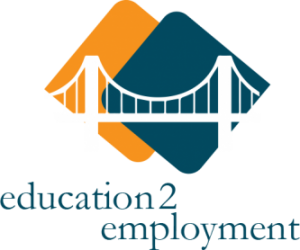 The goal of E2E bridges is to make wealth creation attainable for all hard working people. Building stronger relationships between higher educational institutions and employers is the key step towards teaching skills for shared prosperity. Bridging Nations Foundation is a nonprofit policy organization based in Washington, D .C. that promotes sharedprosperity by developing international dialogue through collaboration and learning. Follow our blog to read articles about education, employment and diplomatic relationships.